Thousands of birds fly over Malta during the migratory season. And thousands are killed, both legally and illegally. Illegal killings amount to more than 200,000 birds per year — and these are only the documented ones. 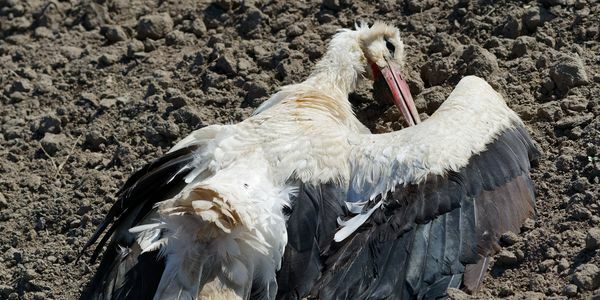 Legally, birds that are protected worldwide (including storks) can be shot and caught in nets in Malta, by taking advantage of loopholes that allow hunters to collect birds for "traditional" and "cultural" practices. The black stork is an extremely rare bird and people have been shooting them, using these loopholes. Although not as screen-worthy as the slaughtering of dolphins in other countries, what happens in Malta is no different. There is no need to hunt these protected species — they are protected for a reason! These loopholes must be filled and Malta has to abide by the rest of the EU's laws. Currently, Malta is considered a true sinkhole for migratory birds — this has to change. Malta, stop this slaughter now!